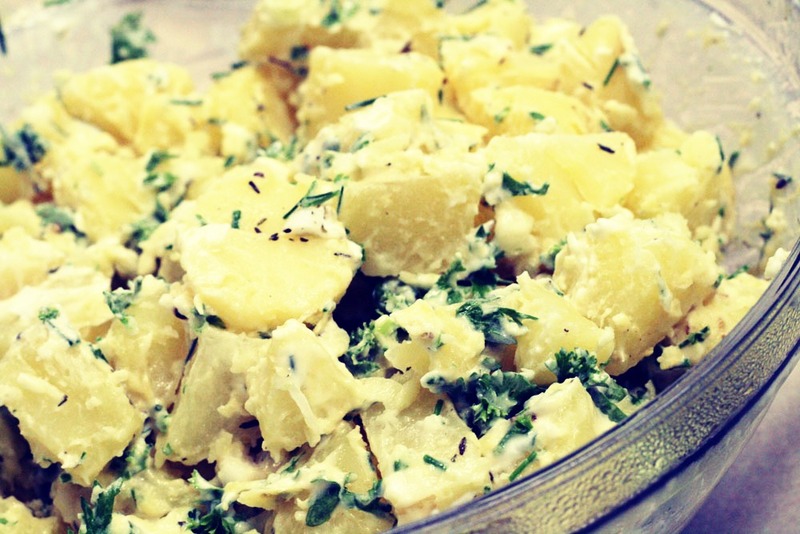 Simple potato salad Ingredients -potatoes (any variety) -sour cream -chive paste Cut potatoes into chunks, strain and allow to cool. Mix sour cream and chives to taste, adjust amount depending on amount of potato. Pour sour cream mixture over cooled potato an stir. Easy as 1, 2, 3!